Why don’t we work together for the common good? It’s a question that plagues every good intention, and every activist group. We know that corporate America is paying its executives outlandishly and its workers poorly – and that if we just banded together, we could do something about that. We know that the global environment needs our stewardship: that it’s crucial we find renewable power and resources, and organize our cities around sustainable growth policies. And if we just banded together, we could make that happen. Time after time, cause after cause, getting people to devote their time to causes that benefit them in the long run seems next to impossible. Why is that? Why don’t we come together for the common good? After all, we want a sustainable environment … we want a healthier economy. So what’s stopping us? An often overlooked classic of economics holds the answer. It’s because we’re rational. 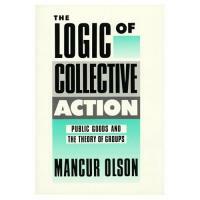 In 1965 Mancur Olson published “The Logic of Collective Action,” which was his Harvard dissertation in economics. In it, Olson took aim at the notion that rational people will band together to support the collective good. That does happen in small and intermediate sized groups, he noted, but almost never in large ones. The collective good, by definition, goes to anybody – even to people who didn’t contribute to make it happen. If activists manage to convince the U.S. to make a massive conversion to solar power, for example, then everyone will share the benefits of a better environment, including the people who decided not to be activists. Because the organizations involved are so large, no one person’s cooperation can reasonably be said to make the difference between success and failure. If it were clear that David Trummel of Iowa’s joining the Sierra club would make the difference between saving the whales and their extinction, then David would probably join. But as it is, no one can reasonably say that David – or any other given individual – will make the difference between David living in a world with whales or a world without. As a result, a “rational actor” (in economic terms) will not participate in large organizations to support the common good: why spend time and money on something that you’ll get anyway, if your contribution can’t be seen as important? Some large organizations that fight for the common good certainly do exist – but they tend to get their members because they offer “selective incentives.” That is to say, they entice prospective members with something besides just saving the environment. What this means is that if you want people to fight for the common good on the large scale, you need to entice them with something other than the common good … something that they won’t get if the organization succeeds and they didn’t participate. It can be a material good (an NPR tote bag) or an organizational benefit (access to an insurance policy for members), or an appeal to other values beyond the common good … but the point is clear: on the large scale, most people won’t contribute to the common good for its own sake because their participation doesn’t seem crucial and they get the benefit of success anyway. Olson’s conclusions are crucial to theoreticians and practical activists alike: if we want to redesign our systems and our world, we might not be able to do it by getting people to just cooperate on large issues for the common good. The incentives that the common good has to offer are all wrong. Or, alternatively, it may be that the problem is we keep making rational appeals. In the end, joining a larger cause, being part of a necessary movement so big that you can’t see where it begins or ends, may not be a rational act at all. It may require a leap of faith.